It rained cats and dogs over here, no chance to stay outdoors as planned, but I enjoyed the company of a good book and some Tv series the same. Ciao Ludo, ho già visto tutte le foto su instagram. Sempre scatti bellissimi. Ho amato quella treccia con i fiorellini, bellissima!!!! Che bella quella terrazza con vista sul mare, io proprio ieri sono stata in spiaggia e ho finalmente inaugurato la stagione! Carinissima anche la treccia con i fiori. It's nice to see the spring mood in your photos! I'm so happy to see that days are getting longer and the sun has been out over here. It's my favourite time of the year. Qui a Napoli per fortuna è stato un weekend sereno ma, almeno domenica, anche io me la sono goduta a casa con qualche serie TV! Comunque le tue foto sono sempre deliziose e quanto mi piacciono i tuoi makeup, sei molto elegante e raffinata anche nel trucco! I love these photos! 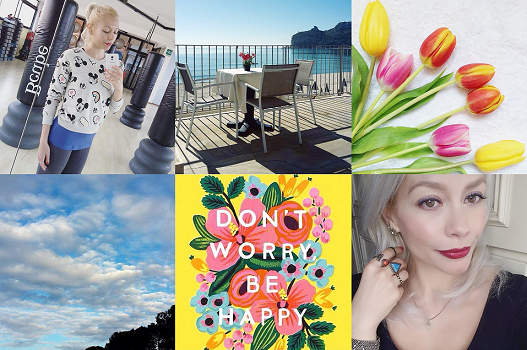 The weather has been rainy + grey here, so it's so wonderful to see such gorgeous bright snaps! Che bella la tua treccia! Belle come sempre anche tutte le altre foto. Your Spring photos are so pretty Lilli. 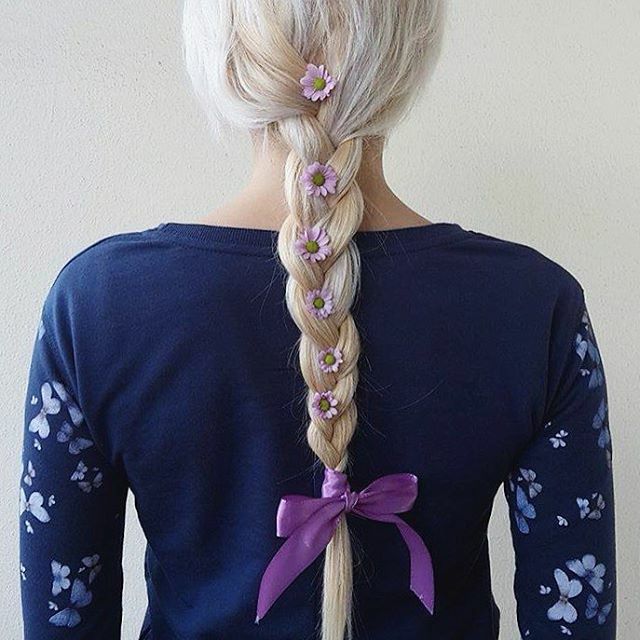 Love your floral hair braid. Have a wonderful week. Quella treccia con i fiori è meravigliosa Lilly..
Dear Lilli, thank you for sharing all these special moment wight out of you life. It's always a pleasure to see you wonderful pictures at IG. The God of weather must be a little kit moody. We in Germany got summer the whole weekend. My best friend live in Spain and see told me, it was rainy there. Ah such pretty mages of spring! I totally love your spring hair! It looks beautiful and such a lovely way to celebrate the season! Have a fab week Lilli! che meraviglia queste foto, sono una più bella dell'altra e di grnade ispirazione. This is such a great recap, Lilli! And nothing wrong with staying inside and catching up on TV shows, I wish we have more time for that. LOL! You had such a great month on Instagram - you know I'll always double tap everything you post as you always keep on inspiring me! Have a lovely week, doll! When it rains, that is the best thing to do Lilli! Love that portrait shot of you. So pretty! You have the best workout poses. Splendidi scatti e tu bellissima nel primo piano! Ciao Lilli! Il primo set E'il mio preferito, sia per i tulipani che adoro che periodo tuo make up, bellissima! Che belle foto! Un bacione. lovely pics dear! That braid with daises is so cute, you always look very pretty. I also really like that photo of you streching, it gives me inspiration to start working out again. Happy monday Lilli! Nice recap, I am in love of your boho style and I am prepare my next Season wardrobe inspire in boho trend too. Kisses! Che belle fotine, sei splendida con la treccia!